How many children will we continue to sacrifice to fatally flawed objectives which are more centered on profits than on benefits? You cannot bury this many children, or treat life long injuries that result from vaccines and claim that because YOUR child didn’t suffer or die, its ok. Furthermore, the onset of disease from the activation of slow growing viruses contained in many vaccines may not be evident for 10 or 20 years. 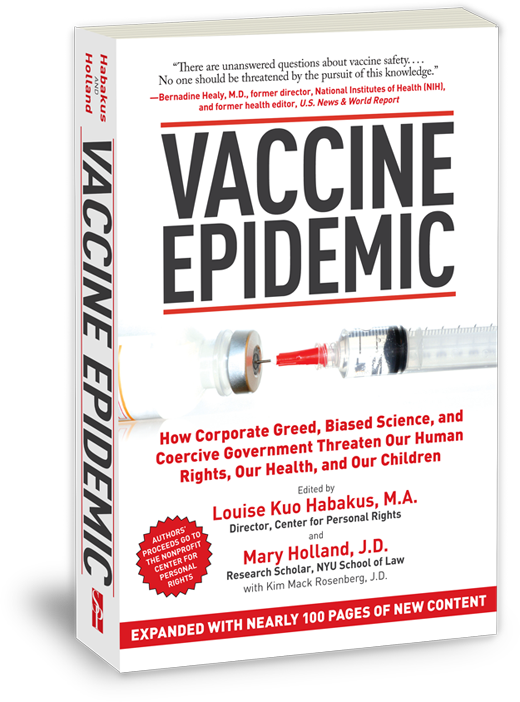 As surfacing of diseases resulting from vaccinations continues to rise, how can anyone claim that these products will protect public health, when in fact public health has deteriorated in direct correlation to the number and frequency of vaccines? The claims that vaccines have eliminated or drastically reduced communicable diseases has been proven time and again to be false. Epidemics of these diseases were the result of lack of sanitation, and most especially lack of adequate nutrition. The last thing a child that is starving to death and who does not have access to clean water and sanitation needs is a vaccine. The occurrence of communicable diseases is drastically reduced when clean water, sanitation and nutritious food is supplied. In1986 National Childhood Vaccination Injury Act was passed. The passage of this bill was the result of the profound numbers of injured or dead children as a result of vaccines. It also required that doctors give parents full disclosure of the benefits and risks of vaccines. But just try asking His/Her Holiness, a.k.a. “Your doctor” about these risks and benefits. Most likely you will be met with near hysterical threats that include having your children taken from you for refusing to have them poisoned with a vaccine. Congress passed this law while acknowledging that “vaccines are unavoidably unsafe”. The argument that it is ok for X number of children to be permanently if not fatally injured by vaccines is acceptable only if your child is not part of “X” and should never be acceptable. 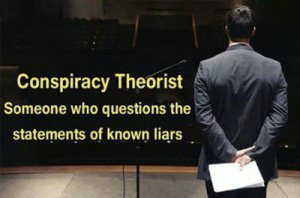 What other commercially available product is available on the market that openly declares that it can cause injury, illness, and even death and yet be so protected by government that a special court was set up to fend off the massive numbers of lawsuits related to vaccine injuries? The very fact that this “court” exists at all is a tacit admission that the vaccines are known to be dangerous and that a fairly high number of injuries and death will occur from their use. Contrary to popular belief, the money used to pay out claims in this court do NOT come from contributions from pharmaceutical companies. On every vaccine given is a surcharge, a tax on the vaccine that is passed down to the consumer. It is hidden in the cost of each shot. That money is collected by the pharmaceutical companies and is supposed to be paid into the court fund. And some of it is. But most of it is kept by the manufacturers hidden behind “administrative” costs and other accounting gimmicks. The recent attempts to create the image of a pandemic using Ebola as the catalyst is just another effort in a long line of efforts to stage a pandemic, implement MSEHA, the Model States Emergency Health Act, and begin the long desired police state. The rage against the American public by various agencies of the Federal corporation is unending. Claiming that in order to keep us safe, we must give up our rights, our liberty and maybe our lives, in order for them to ensure our safety. We have been under attack, not by foreign terrorists, not by crazy people in our midst; but by the crazy people in our own government, many of whom appear to be operating as access agents for special interests, a position that appears to be quite lucrative. The lie of “keeping us safe” was never more evident than in the recent Ebola scare when many were demanding that flights from West Africa be suspended until the Ebola virus was under control. The response from government? That would be “unfair”, especially just to protect Americans. Really? Uhhh….what happened to that “keeping you safe” thing? I think it especially important to note here that you, nor I, can board a flight anywhere here in our own country without first being scanned, molested and assaulted by TSA. But flyers from West African countries who might have been exposed to Ebola were not to be subjected to any restrictions? We were just too lucky even in the face of this virus that somehow got loose in West Africa. It turns out, two (not one, but TWO) Ebola vaccines were in the works. How lucky are we? In fact, they were so far in the process that they would most likely be available in the near future. It is apparent that someone, or several someone’s at these pharmaceutical companies can see into the future and some how channeled the news that ebola (specifically, EBOV), was about to go viral in West Africa and they needed to be working on vaccines for that epidemic. What are the chances?? We saw these same scenario’s play out with the flu pandemics that never happened. The SARS pandemic that never happened. We have seen measles outbreaks that were minimal turned into hysterical reports of a pending “EPIDEMIC!” . The ratcheting up of claimed epidemics or pandemics of some kind always precedes the next assault on the country by government, always using the excuse that whatever it is that is violating your right to live un-accosted by the government, is necessary if they are to be able to protect you. Model States Emergency: As of 2007, 33 states had introduced 133 legislative bills or resolutions that are based upon or feature provisions related to the articles or sections of the act. Of these bills, 48 had passed. Now people die from “acute flacid paralysis” better known as Vaccine induced polio. Close to 50,000 children permanently damaged from the vaccine in India last year. Previously, 8,000 Nigerians dead or damaged from the vaccine. Those “vaccinated” shed the mutated vaccine virus(s) for up to 28 days after being intentionally infected. Every vaccine circular will tell you that. This is just a short list……no rational person nor any one who is educated could look at just these toxins and conclude that vaccines have eradicated anything other than a normal healthy life. childhood diseases help build the herd immunity crowed about by manufacturers without the interference of known toxins, poisons and neuro-toxins. What reduced the proliferation of childhood diseases was increased sanitation and better and abundant food. Telling the parents of vaccine injured infants how great vaccines are. We are raising an entire generation of damaged children thanks in no small part to vaccines. I am informed engineer with a science background. Vaccines have proven very effective at reducing childhood diseases. People used to die from smallpox, polio, etc. Do you want to go back to those days? And you are either uneducated about vaccines and what they contain that will cause you great harm, or, you work for one of the manufacturers. You cannot intentionally infect an individual with an altered version of a live virus and make any claim to having prevented the wild virus disease. You repeat information that is wrong and try to make it appear true!!! And there is no evidence other than [they] said so, that any of these epidemics or possible pandemics even happened. I remember in 2010 during the big flu scare that a report here in the US said that 100’s of thousands of Brittish people had fallen sick with the flu. Only my friends who live in London said they hadn’t heard anything about it. They didn’t even know of anyone who had the flu. Same thing with this measles outbreak they claim happened. Turns out all the kids with measles just happened to be from states that had low vaccine rates….only no one knows who these kids are and there are no measles reports of any kind anywhere. This is disgusting! Are we going to let these politicians get away with this? I just heard about this article and had to come read it. We need a march on the minnesota capitol and demand that these people who agreed to this resign form office. They are a clear present danger to the state. If they pass this as a mandate we should move immediately to recall every one of them who voted for it. Then proceed with criminal charges for malfeasance of office. Each representative that took donations from the same corporations who will benefit from from forced vaccines should be brought up on accepting bribes charges. Well the MDH claims they now own the dna of newborn babies. why woulld you be surprised that they want to poison their livestock? I was at the legislature the day this meeting was held. It was all closed doors and very secretive. You could barely move about because the whole place was crawling with lobbyists. You could hear the cash registers ringing as they made their way around the offices. It turned my stomach. Constitutional lawyer specializing in food and drug law, Jonathan Emord , addressed issues relating to vaccines, and personal rights and freedoms. He noted that the US govt. funds a national Vaccine Injury Compensation Program to the amount of three billion dollars, which is designed as an alternative to court claims against damages from vaccines (including the measles-mumps-rubella vaccine which has gotten a lot of attention lately). The government concedes there are risks associated with injectable substances and the reactions people may have to them. Jurist Oliver Wendelle Holmes Jr. decided that compulsory vaccination was constitutional under the 14th amendment. But, Emord pointed out that this is actually a deviation from constitutional rights. While acknowledging that some vaccines are helpful, Emord believes that people should not be compelled to be vaccinated by the power of the state, particularly when it’s well-known that serious, adverse reactions can occur. Instead of pushing mandatory vaccines upon children, the government and medical establishment should be devoting their resources to eliminating the safety risks associated with them, he advised.